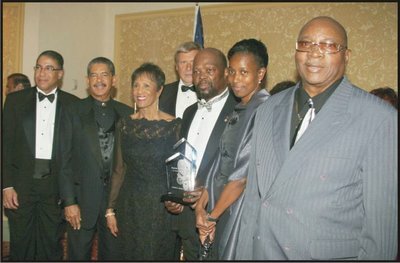 In commemoration of the Martin Luther King Federal holiday, the Congress of Racial Equality (CORE) hosted their 23rd annual reception and dinner at the Hilton Hotel, New York City. More than 1500 people from all walks of life attended this prestigious event, making it one of the largest events honoring Dr. King in the country. CORE is one of the oldest civil rights groups in the states. Promoting the banner of ‘truth, logic and courage,’ CORE continues to support equality for all people regardless of race, religion, ethnic background, gender or age. 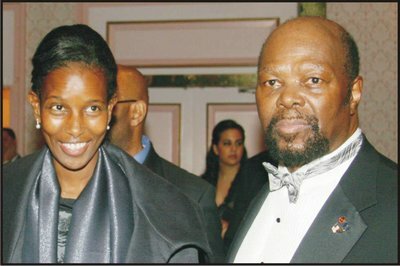 Ms. Ali indicated how being in the company of people devoted to fighting for equal rights for Americans of every color, gender and religion was extremely inspiring. She recollected on Martin Luther King Jr.’s life and remarked on how delighted he would have been to see black and white children going to school, playing and sitting down for meals together. Additional guests of the evening also included a breathtaking musical performance from the cast of the Color Purple and a recital of the song Lift Every Voice and Sing by American Idol star Chip Days. As both these performances unfolded, the atmosphere was immense. Audiences were clapping, dancing and singing-along. Food for the event proved a huge hit too, with a three course meal and an extensive range of drinks flowing. 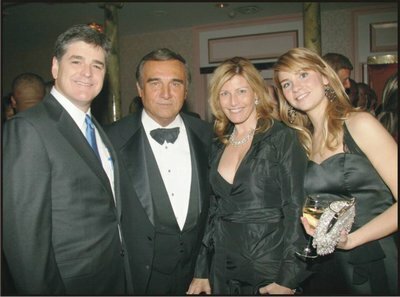 3: Sean Hannity, co-host of Fox News Channel's Hannity and Colmes, with actor Tony Lobianco and his lovely wife and daughter.